So what you're saying is that if the probability of contracting Measles is less than .002, you should not get the vaccine. P.S. I think the bills on the left are counterfeit. If not they're worth far more than face value so the odds change significantly. Rob Lister wrote: P.S. I think the bills on the left are counterfeit. If not they're worth far more than face value so the odds change significantly. The government no longer prints new bills in denominations larger than $100. And bills are no longer "redeemable in gold at the United States Treasury". But those are what the bills used to look like. As far as measles goes, the odds of contracting it go up the more people don't get the vaccine. Plus it's a matter of protecting the people who don't get it. I think the government ought to pay for vaccines though, since there are positive externalities when people get vaccinated. It helps everyone, not just the person receiving the vaccine. A couple of days ago, I wrote about a story of a sort that I’ve had to write about far too many times over the last eleven years. Blah . . . blah . . . blah . . . I'd much rather write about how Doctor X, Humble Yet MagNIfIcent, can compare the IMF to "The Steal!" blah . . . blah . . . bowl of porridge . . . The child’s name was Ezekiel Stephan, and his parents are David and Collet Stephan. The reason that child should have lived is because he suffered from a disease that medicine can treat, meningitis. David was ordered to serve four months in prison. Collet was ordered to serve three months on house arrest and to post an unedited copy of the sentencing hearing to all Web and social media sites with which she is personally affiliated. Both were ordered to complete 240 hours of community service. The couple's three other children must see a medical doctor at least once a year and a public health nurse every three months. Press reports indicate that Ezekiel died of bacterial meningitis while they treated him for 2½ weeks with hot peppers, garlic, onions, and horseradish and a product from a naturopath said to be aimed at boosting his immune system. [Alberta parents convicted in toddler's meningitis death. CBC News, April 26, 2016] Before the sentencing hearing, Collet urged her Facebook supporters to send handwritten letters to her lawyer “regarding Dave and myself’s parenting character, concern for our children losing us and how this verdict will affect your parental rights.” David is vice-president of Truehope Nutritional Support, a company that markets “natural remedies." from QuackWatch of course. . . . This will be a bigger thing with Zita. "Autistic kids get in free. Problem is, they won't know it..."
Vaccination crusader honored and libeled. Paul Offit, M.D., has received the American Academy of Pediatrics President's "Certificate for Outstanding Service," in recognition of his ongoing commitment to promote immunization." Offit, a pediatrician, is chief of infectious diseases and the director of the Vaccine Education Center at the Children's Hospital of Philadelphia. 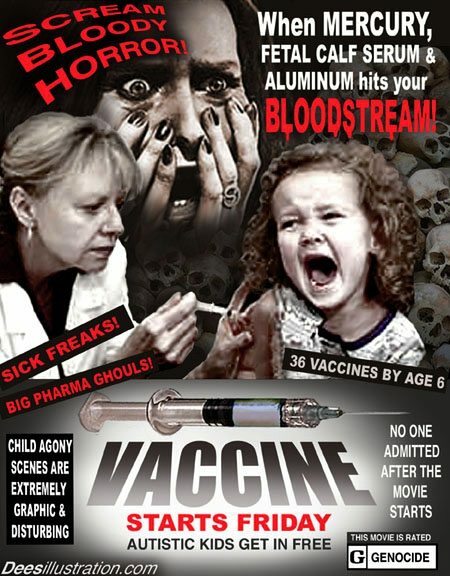 His 2008 book, Autism's False Prophets, http://www.amazon.com/exec/obidos/ASIN/ ... ckwatch-20 exposed the opportunism of lawyers, journalists, celebrities, practitioners, politicians, and miscellaneous cranks who are promoting the myth that vaccines cause autism. Vaccine opponents, enraged by both the book and the award, have responded by making false and misleading statements about him. Isn't Offit the goofball who said getting 10,000 vaccines would not harm you? Because in Clayton's mind large numbers = teh aidz and autisms. When asked to argue his position, ad homs generally flow freely regarding his opponents IQ. So Klinton Spilsbury is a rather known FAIL? I generally do not waste my time searching for such things. There being NBLs and other important things. Doctor X wrote: How would they? I'll defer to Sparks for that mind bender.